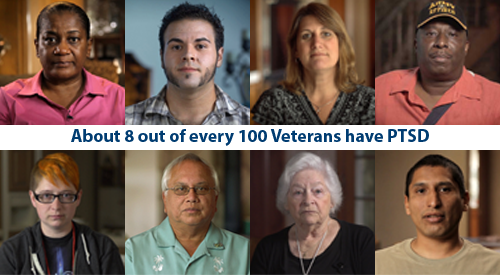 A national survey found 8% of U.S. Veterans screened positive for PTSD at some point in their life. 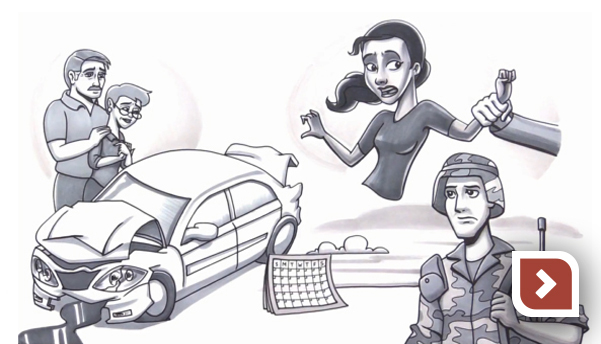 It is normal to have symptoms right after a traumatic event. If they last longer than a month, it may be PTSD. It’s never too late to get help. Learn more about your treatment options. We are the world's leading research and educational center of excellence on PTSD and traumatic stress. It's normal to have upsetting memories, feel on edge, or have trouble sleeping after this type of event. If symptoms last more than a few months, it may be PTSD. The good news is that there are effective treatments. Learn about symptoms, types of trauma, common reactions, and related problems. 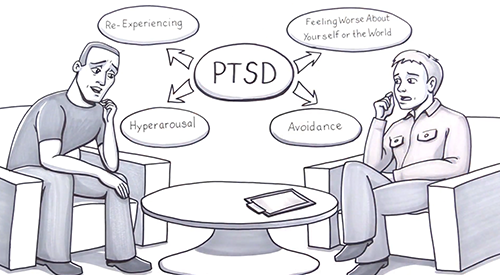 Read about talk therapies & medications proven to help people with PTSD. Find out about care near you and self-help resources for managing symptoms. Help your loved ones with PTSD and find the support you need for yourself. 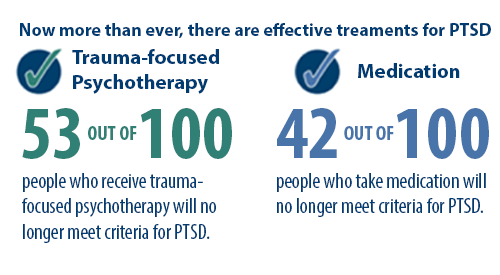 Information and tools to help you with assessment and treatment of PTSD. Are you treating Veterans with PTSD? Ask our experts a question or request consultation about PTSD-related issues.